After 3 days of an Open House with my friend, Marti at her home selling our wares, I am happy. It was the first time I have attempted to sell any of my photography, but since Marti had asked me 2 years in a row to join her, I took the dive. 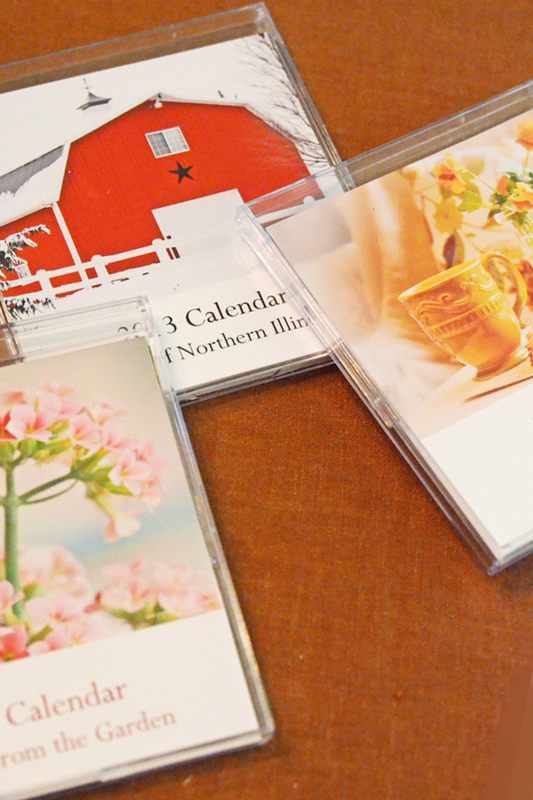 I sold 27 CD Calendars with my photography and 61 individual cards. The calendars had 3 different themes, one was all flowers from the garden, the 2nd one was barns from Northern Illinois, and the 3rd was tea cups. I made a variety of cards, some themed (sympathy, thinking of you, happy birthday) and others were blank. Compliments of "how beautiful" the photography was made me one happy lady....I know I am bragging just a little, and also grateful that so many appreciated my photography. And like Marti, our profits are going to our favorite charities...her's being the Cancer Center at Purdue University and mine being the Alzheimer's Association. OK enough of that bragging....how was your weekend? This being the 2nd day of December it was well into the 60's today, sun shining, birds chirping. If I didn't look at the calendar I would think this was May instead of December, but then the Christmas lights and music would be the giveaway clue that it is December. Now, that the weekend is over, I must get started on the Christmas decorating. Most people are done, looking at all the lit trees and holiday lights everywhere you go, but preparing for the Open House weekend definitely has put me behind. That has become my middle name...BEHIND. I did go to Loews after closing up shop today and bought a skinny, skinny Christmas tree with 700 lights. I love lights so having 700 on a skinny tree just brightens my day...giggle, no pun intended. 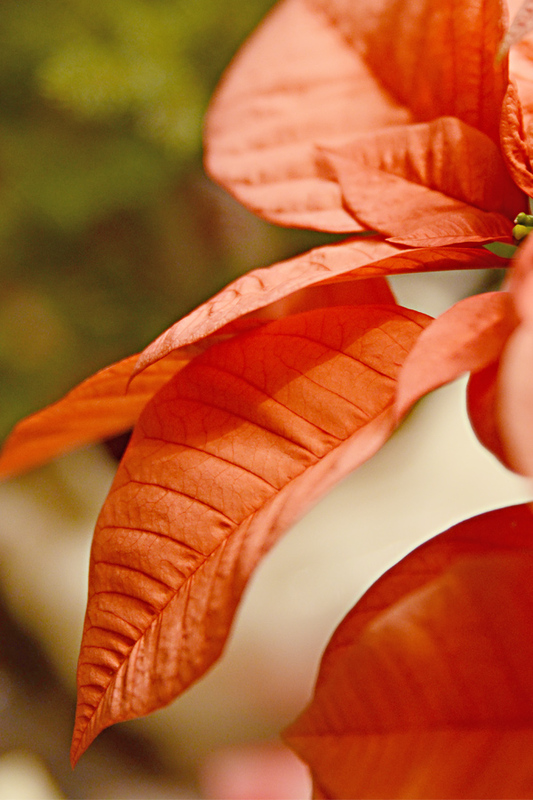 Also brought home a pink/peach poinsettia...love poinsettias. One of my favorite flowers, but then there are not too many flowers that I have met that I haven't called my favorite. 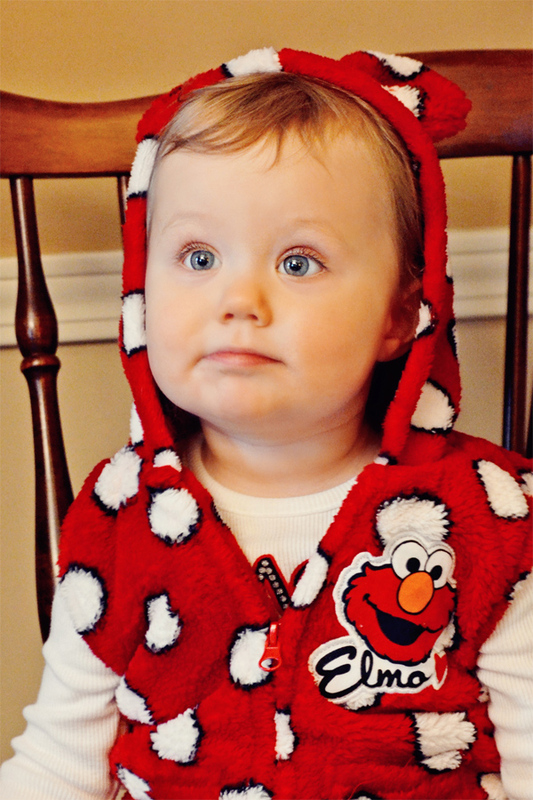 And last, this cutie-patootie is my friend Marti's granddaughter, Samantha. You may remember her from seeing her picture a few months ago. Samantha is a doll-baby...so well behaved and so smart. She is 20 months old and is already talking, stringing 3 words together...amazing child. Gosh, I sound like the grandmother. Samantha and her Mom visited us on Saturday at the Open House where I snapped a few pics of her. This last one is Samantha with her Daddy's hat...her Daddy wore this home from swim practice everyday in the winter-time when he was a kid in school. 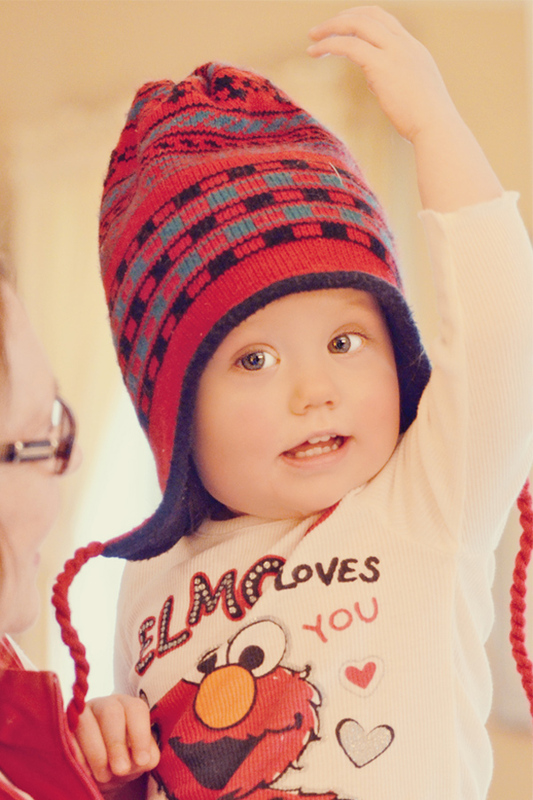 Grandma saved the hat and has now given it to Samantha. Looks much cuter on her than on her Dad. Joining up with Madge Bloom for her weekly top shot. Hope you have had a great weekend and that your week to come will be filled with all good things. cute little one! so glad you did well with the sale! your shots are always gorgeous! Oh, my goodness, what a precious child! I'm so proud of you for selling so many calendars and cards. Not surprised at all at the sales AND the positive comments. Your photography is stunning. Go Deanna!!!!! That's wonderful news all round Deanna. I would love to see more details of your CD Calendars and also your cards. Did you print them at home? Would love to know more. Deanna, you've got the most beautiful pictures today. Glad you did so well at the sale. Good for you! That is so great your photography can be rewarded, AND go to a cause that is dear to you. I want more details too, because I have no idea what a CD calendar even is. I finally made some cards with my photos to give as Christmas gifts. I am excited to share them. Can't wait to see your tree! My dear, dear friend. It was a wonderful weekend, rewarding on so may levels. Thanks for taking the pictures of Samamtha. I love them. I am not surprised at all that you sold so many of your CD calendars and cards. Your photos are amazing. That's why I love to stop in here. But also cause I envy the way you write. I am hoping one day it will rub off on me. Hope you have an amazing week. And Have fun decorating. Congratulations for such great sales!! How does a CD calendar work anyway? Your photos are absolutely amazing!! Deanna!!!! Good for you!!! That's so exciting. My dream is to sell greeting cards w/my photos. Do u do your own printing with that new printer of yours? I forgot.... Skinny tree... 700 lights!!! Can't wait to see it!! That's awesome Deanna! And yes, what a little cutie you captured, so well!! Congrats on your awesome show and sale! Wonderful images of that adorable child! I am so happy for you how well you did at the show. Lovin the generousity of your soul Deanna...good for you. You sure captured the soul in her eyes...wonderful. Congratulations on the success of your sale. Love the picture of Samantha in her dad's hat. Fantastic! So happy your sale was a success! I knew it would be. Sounds like a busy weekend!! That tree sounds gorgeous, can't wait to see pictures! congrats on your sales, that's super!! brag away! 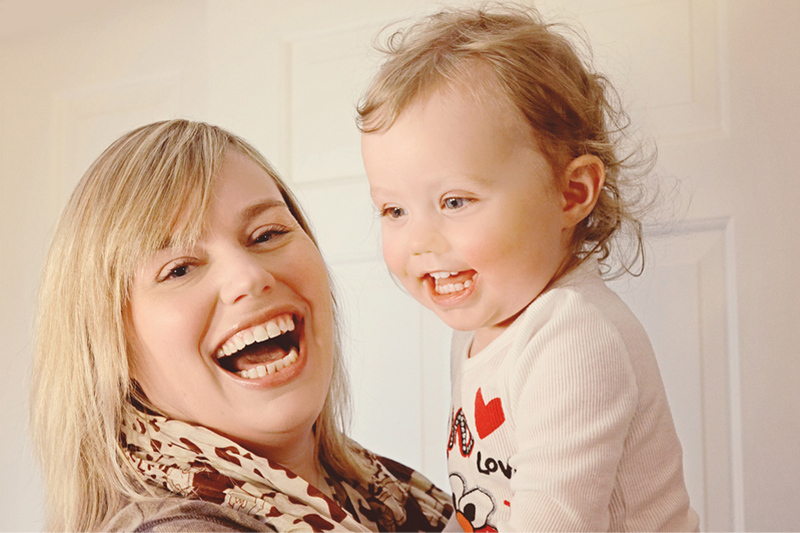 sweet pictures of the cutie and her mom! Congrats on your sales... I think your photography is outstanding! (Do you mind if I ask where you created the calendars, I'd like to make some for gifts). Thank you for sharing on Weekly Top Shot #59!